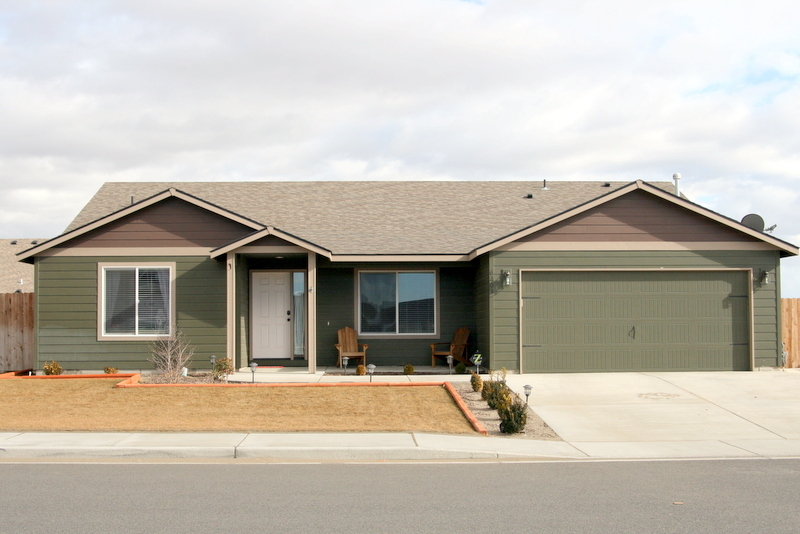 6203 Bulldog Lane, Pasco, WA 99301. Welcome to 6203 Bulldog Lane! This beautiful like-new rambler features 3 bedrooms, 2 bathrooms, a vaulted great room with dining room attached–ideal for entertaining and spacious living, and a separate living/office/den room as well. Master bedroom and bathroom are spacious with luxurious garden tub, separate shower, dual sinks, & walk-in closet. You’ll love the upgraded trim, double pantry, laminate wood floors, huge island, stainless appliances, large split bedrooms, custom paint colors, large back patio, and exquisite design. Completely fenced with sprinklers & landscaping. Fantastic new West Pasco neighborhood. 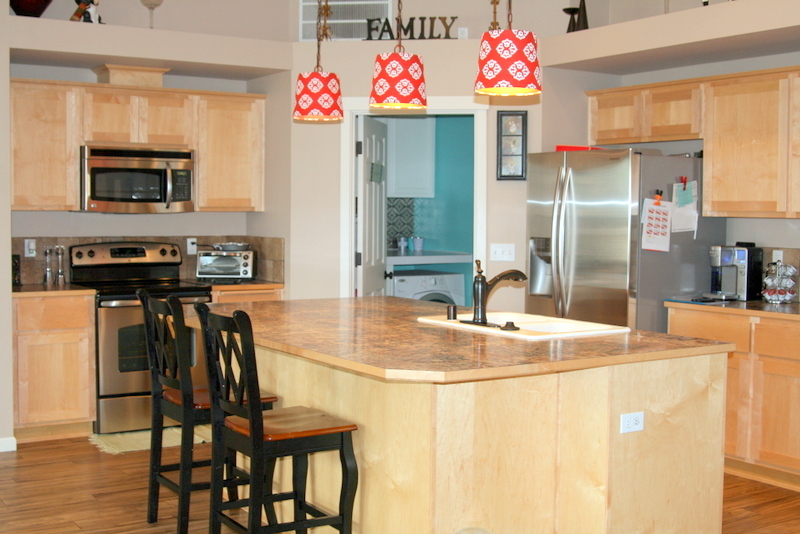 Loaded with upgrades: huge kitchen island, laminate wood flooring, & stainless appliances. USDA eligible for $0 down! 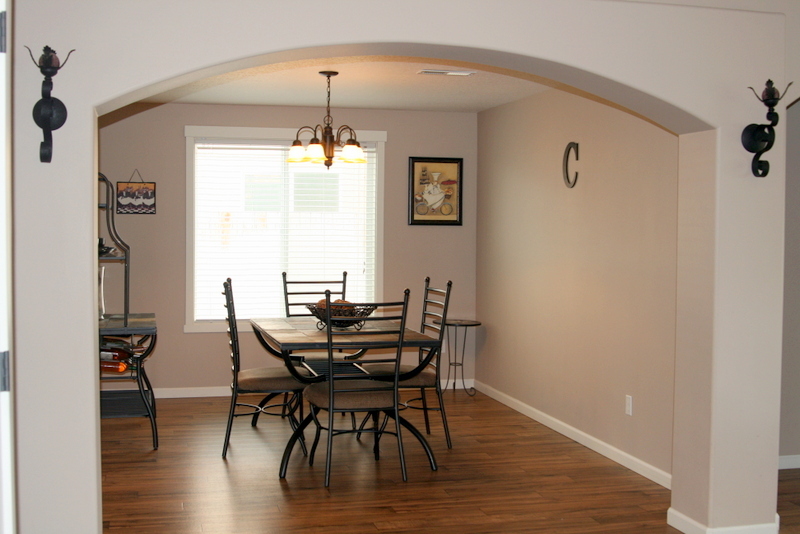 Open vaulted great room with attached dining room—perfect for entertaining! This home is located in the new West Pasco Terrace subdivision in Pasco. It was built by Olin Homes, a local builder with a solid reputation for quality building and excellent resale value. Click here for MLS listing: 6203 Bulldog Ln MLS Listing If you’d like more information or to request a showing please call (509)845-4570 or (509)528-1366.